The Season of the "Light-in-Everybody"
During the darkest season of the year, around the time of the winter solstice, the presence of light has always been celebrated. During this pivotal time, when the darkening days of winter reach their apex and begin to turn toward the increasing light of spring, cultures around the world have honored the renewal of the gift of light. This season of renewal is interpreted in numerous ways, depending on who celebrates it, but all of these celebrations have in common the universal joy in light. Of course, it is not winter at the same time of year everywhere in the world. But in modern times, the months of the winter solstice in the northern hemisphere have increasingly become a global time of festivity, both secular and sacred. It is very much a traditional European and American idea to associate this celebratory time of year with winter and the seasonal "darkest time of year". However, dark and light contrasted has a kind of fundamental meaning for all people, universally. Dark versus light; light versus dark — the idea of celebrating light rather than darkness is a way of universalizing a celebration at this time of year, when many traditions have a principal celebration otherwise. Light means something holy, something Divine. The notion and the sense of the holiness (or, at any rate, the profundity) of light — and especially the Divine characteristic of Light, the ultimacy of Light — is a universal feeling-idea. It is part of all religions. It is part of all secular life, too. Light is fundamental in human experience and aspiration and meaning. Because of this, it is suitable to be associated with a universal celebration every year. Beloved Adi Da envisions this season as a time of global celebratory participation by people of all faiths and cultures. He suggests that this could be a season of great positive connectedness, in which people around the world would celebrate their own faiths and traditions in the midst of a universal celebration He has called: "Light-in-Everybody". It is essentially about Light, and about that Light in everybody. It is about acknowledging the characteristic of Light in everybody you know and meet, rather than darkness. It is about love rather than its opposite. It would be useful for there to be a global public celebration that is about fundamental social unity, positiveness, and cooperation — without being exclusively associated with any particular existing tradition or traditions. . . This celebration would be about acknowledging the universally tacitly understood characteristic of "light" (or non-separate "radiance" of positive being) in everybody one knows and meets. People from particular religious and cultural traditions would be free to use the essential symbols and meaning-elements of their own traditions in their participation in this celebration — while, nevertheless, openly and entirely preserving the universal and non-separatist feeling of the celebration in the pluralistic social (and secular) domain. A celebration by this name (and with this universal meaning) would include everybody and exclude no one — and it would not be fashioned (in any exclusive sense) in the direction of one or another kind of religious or other tradition. Although it would, in principle, be a secular celebration — in that it would not be identified with any particular religious or otherwise sacred tradition or traditions — "Light-in-Everybody" could be privately (and within the cultural sphere of each and every particular tradition) observed in either a religious or a non-religious manner, as individuals choose, while everyone (each and all) always publicly, openly, and authentically actively manifests and participates in the fundamental virtues of universal social positiveness, universal inclusiveness, universal love, and the universal characteristic of "light". The arts could be a primary way of participating in this celebratory season, with individuals and guilds creating special decorations, music, treats, and occasions that everyone can appreciate — and that don't exclude anyone. All kinds of imagery could be invented to decorate the private and public environments of daily life, in a way that would enliven the arts while bringing enjoyment to everyone. 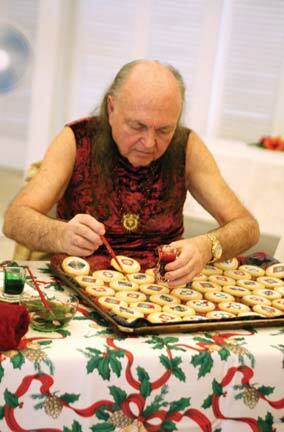 Beloved Adi Da hopes that the celebration would thus be a "fundamental public and globally socially positive (and universally socially bonding) expression of the prior unity of all of humankind" and a time that would "manifest social positiveness based on attitudes that are inclusive and that are about Light and love and that have to do with the universality of humankind". 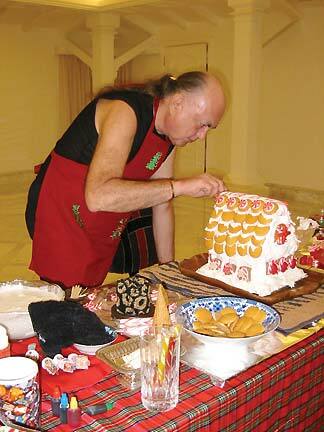 Just as cultures everywhere have their own festivals and rituals that they celebrate at this time, as devotees of Beloved Adi Da we celebrate this special season of the year with customs that are unique to our own culture. In this book, I will share with you some of our most important and enduring traditions, the ways that we celebrate the season of "Light-in-Everybody" in Beloved Adi Da's Company. Next: "The Best Season of the Whole Year"